CGMITALIA s.r.l is a company from Campania that, since several years, produces helmets and accessories for motorcycles and scooters. 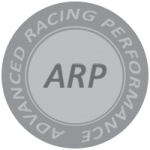 The company is the result of the synergy between the years of experience of the leadership in the motorcycle industry, characterized by a high level of know-how, and the high creative skills of the technical team. 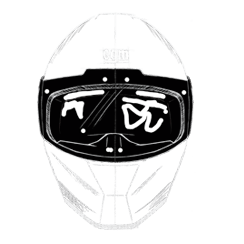 The considerable achievements, reached in such short time, have given to the company leading positions in the production and commercialisation of helmets dedicated to motorcycle and scooter riders. At the base of the success there is a winning formula: Italian design, always in the van, and foreign manufacturing to contain costs and thus prices. The production, indeed, is outsourced but it is subject to continuous supervisions of Italian skilled technicians who grant quality in all processes. On the contrary, the design, the details of construction, the choice of materials, the colours, the graphics and the design as a whole are entirely created, verified and approved by CGMITALIA that puts great attention also in the choice of finishing materials so to be able to realize models that you can always distinguish from what is already offered by the market. The production is cared in every detail and meets the high quality standards which are the essential prerequisites to grant the maximum protection joined with the ideal comfort. 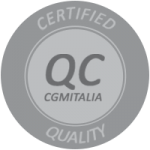 CGMITALIA, indeed, performs daily and strict quality controls on production, moreover, homologation and, at the same time, impact tests are also carried out with criteria stricter than those foreseen by law. 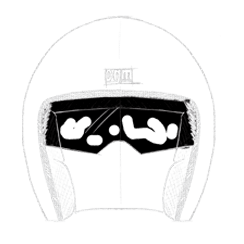 To obtain the homologation certification, a helmet is subjected to shock absorption tests to measure the helmet capacity to dissipate the force of an eventual impact, rigidity tests to determine the deformation of a helmet subjected to a compression, roll off tests to verify the retention of the helmet position on the head when this is subjected to a push, and chin strap retention tests to test the capacity of the retention system of the helmet when this is subjected to a traction. 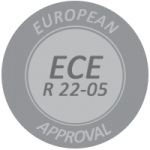 Our target is not only to pass such tests to obtain the homologation certification of the helmet, which makes it usable as protective device in all European Union countries, but also to achieve results beyond the limits provided by the law in force. 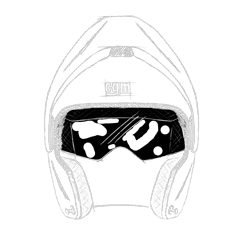 T.J.Marvin is the brand of CGMITALIA dedicated to clothing and accessories for motorcycles and scooters. 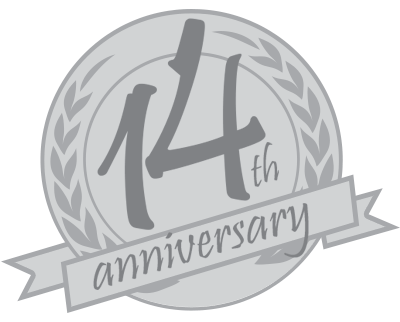 All T.J. Marvin products are cared in every detail and have the best requirements in terms of safety and quality. Taped seams, reflective bands to improve the passive safety granting night-time visibility, raw material of consistent weight, double closures, are just a few of the features of rainwear models that contribute to put the brand at a high level of the market. 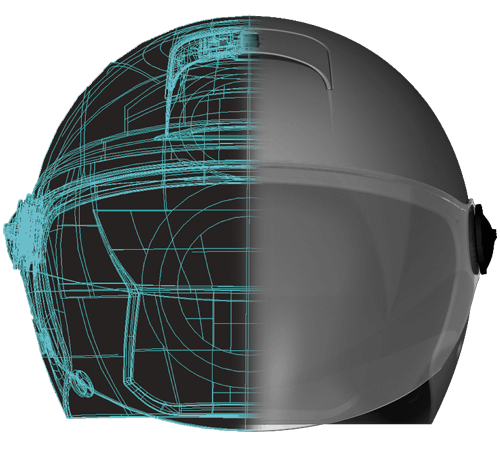 It is currently under development and is focusing its efforts in expanding the range of products to meet every motorcyclists and scooters need, specializing in waterproof covers for vehicles and saddles. Recently have been included in the catalogue accessories and rain gloves and a line of mechanical anti-thefts , while it is under design a new line of fashion accessories with many colours and patterned fabrics. CGMITALIA manufactures and commercializes also helmets with SKA-P brand. 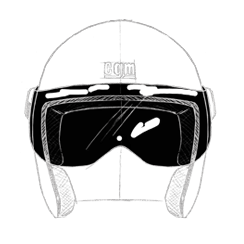 The SKA-P brand, present on the market for some years now, was born from the experience gained in the company in the development of helmets and it is especially addressed to young and very young people proposing demi-jet helmets cared in every detail, with innovative colours combinations, elegant graphics, coloured and trendy lines, but also having the best requirements in terms of safety and quality. At present, the SKA-P brand is in full expansion phase and gains new market segments, at present there are over 20 variants of models in the catalogue. 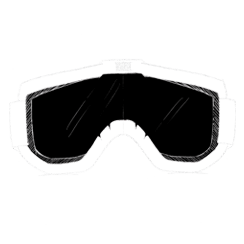 In addition to the demi-jet models, point of strength of the brand, laso a jet helmet and a modular have also been developed and it is under project phase a model of full face and an off-road model to make even more complete its offer. The safety of the most advanced technology and the most innovative design CGM joins to the style of a brand that is itself trend, DEEJAY, naturally voted to identify and launch new styles. The HELMET 107 CGM DEEJAY is the winning result of a meeting of professionalism, which in every detail tells about quality, novelty and tendency. A product that was born as object of protection becomes, thanks to the two brands, with full title an element of design that tells a unique style vocation, marrying CGM graphics to the DEEJAY creativity, born to anticipate, since ever.